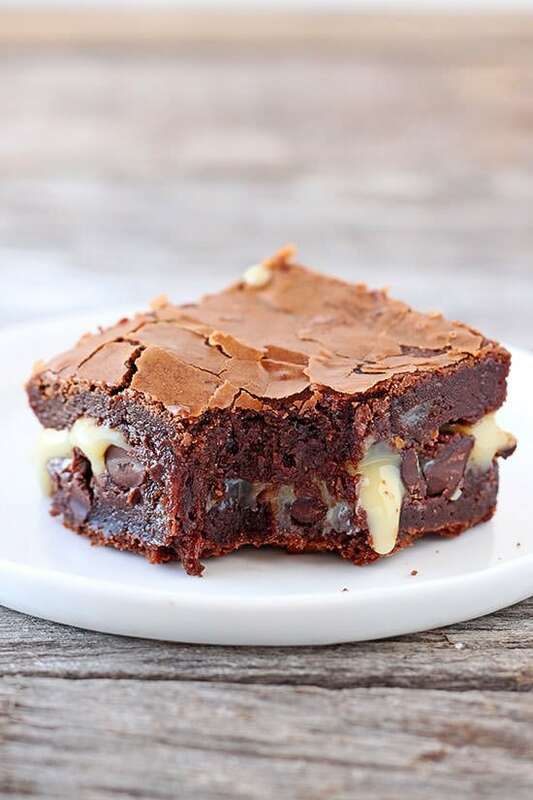 Ultimate Gooey Brownies are ridiculously tall, chocolaty, ooey, and gooey with a thick layer of sweetened condensed milk and chocolate in the middle! Taste: The stuff chocoholics dream about. Texture: Well, that’s the best part about these brownies! Ooey, gooey, fudgy, with chewy edges. Gimmmmeeee. Ease: Easy peasy, but you’ll dirty maybe a few more dishes than with a typical brownie recipe. Appearance: I mean, c’mon. Who could resist?? Pros: Amazing twist on an already perfect brownie recipe. A little braggy, I know, but I gotta be honest! Cons: Not even remotely diet-friendly. Sorry (not sorry). Oh my god, you guys. This recipe is ridiculous. Like straight up insanity. This is what happened when I denied a craving for brownies for a week straight. I suddenly found myself in the kitchen pulling together all the ingredients to make my Ultimate Brownie recipe (which took 6 batches to perfect) when I decided I wanted to switch things up a bit, kick the recipe up a notch if even possible. I snooped around my stash of baking goodies and found a bag of peanut butter chips. Seemed promising, but I was nearly out of peanut butter so that wouldn’t go far. I had plenty of other chips and mix-ins but I wanted to do something a little more special. 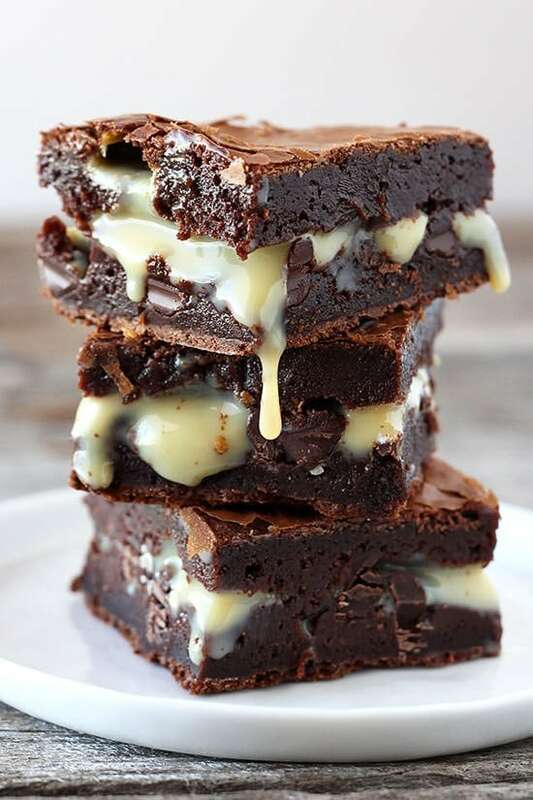 I remembered seeing something about adding sweetened condensed milk in between two layers of brownie batter before baking on Pinterest and was suddenly on this Ultimate Gooey Brownies adventure. The adventure resulted in something so amazing and wonderful I just had to share as soon as I could. If you love chocolate, if you love brownies, if you love ooey and gooey, you’re going to die over these Ultimate Gooey Brownies. Don’t say I didn’t warn you! 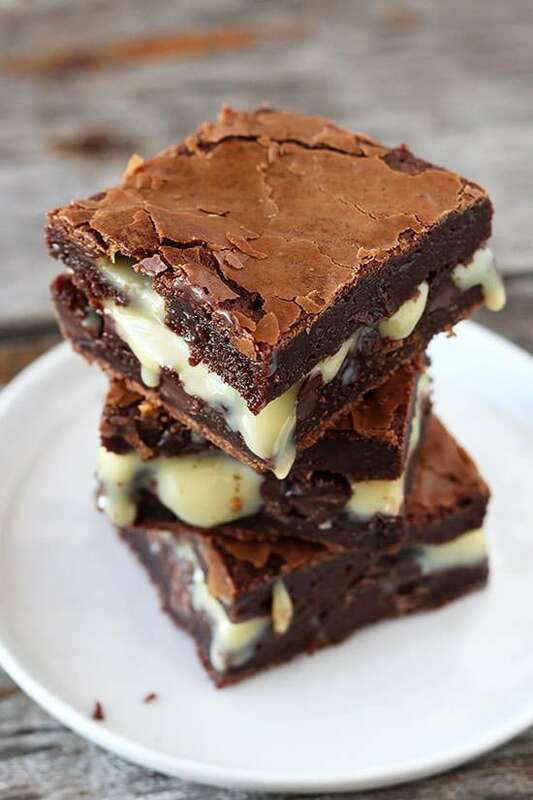 If you make these Brownies, be sure to take a picture and tag it #handletheheat on Instagram. 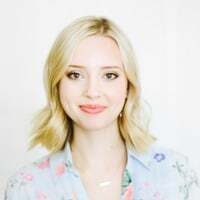 I love seeing your photos! Please take a look at the note within the recipe. After many mixed comments (some readers loving the recipe, others saying it was a failure) I went back into the kitchen for some further testing to see if there really was a problem. Unfortunately, I was unable to replicate the bad results however I’ve made some changes to the recipe detailed in the notes that should fix any problems that folks might be having. 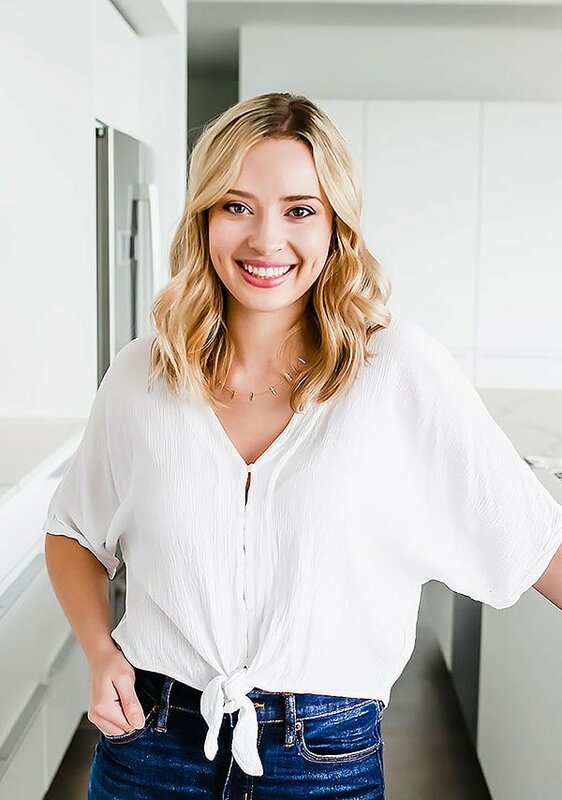 Thanks for all the feedback friends, my goal is to always share the best recipes possible and I couldn’t do it without you! You’ll love these recipes too! Preheat the oven to 350°F. 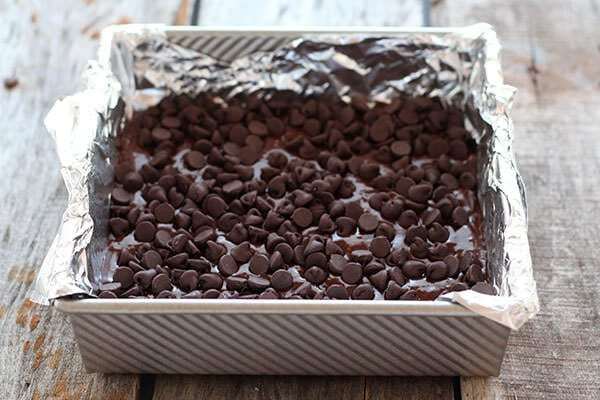 Line an 8x8-inch baking pan with foil and spray with nonstick cooking spray. In a large microwave-safe bowl, combine 1 cup chocolate chips, butter, and unsweetened chocolate. Heat in the microwave for 1 minute then stir. Continue heating in 30-second bursts, stirring between each burst, until the mixture is melted and smooth but not scorched. Remove from the microwave and let cool slightly. 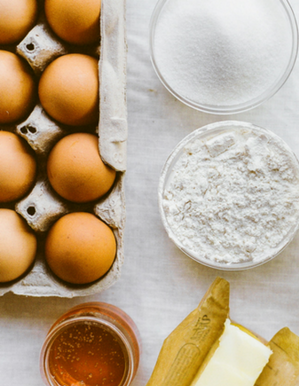 In a large bowl, use an electric mixer to beat the eggs and sugar on medium-high speed until light and thick, about 3 minutes. Beat in the vanilla extract. Stir in the cooled chocolate mixture with a rubber spatula. Add the flour and salt, folding gently until well combined. Pour half of the batter into the prepared baking pan. Bake for 10 minutes. 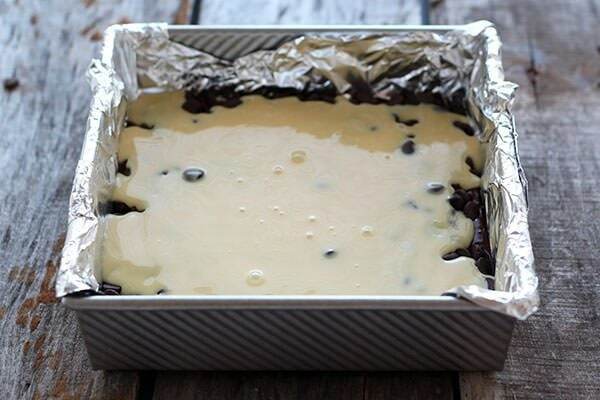 Sprinkle with the remaining cup of chocolate chips and pour the sweetened condensed milk over the top. Pour the remaining batter over. Return to oven and bake for about 35 minutes, or until a tester comes out with moist crumbs still attached. Do not overbake. Let cool to room temperature then place in the fridge to chill. The brownies are easiest to cut when chilled and can be served chilled, at room temperature, or warmed in the microwave. Due to several readers experiencing issues with the brownies not baking or setting properly, I've added to the recipe an extra baking step to ensure that bottom layer will set and I've also slightly reduced the amount of condensed milk. I can’t even…I’m like drooling just looking at these, they’re gorgeous! 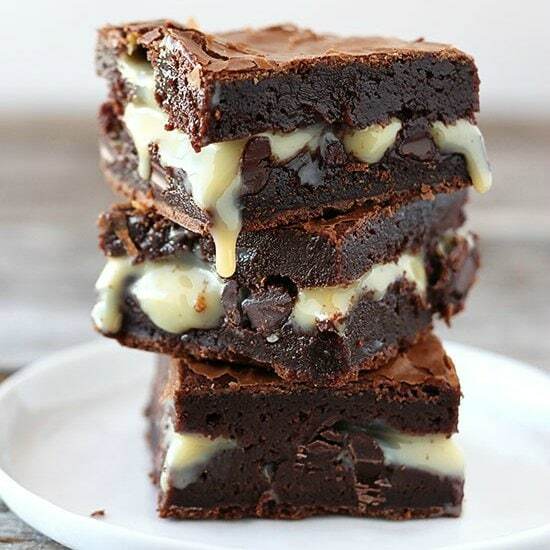 These brownies look over the top amazing! When I saw that photo, my jaw dropped. What the heck is that deliciousness and how fast can I get it in my mouth?!!?! These are CRAZY. Jaw-dropping, as Christina said. but in the best way. Ohmygod I agree, these are insane!!!! As soon as I saw the dripping middle of these on Facebook, I knew I needed the recipe – WOAH! OMG looks gorgeous. Love how moist and ooey gooey it looks. I haven’t made brownies in like…forever. I used to make it all the time at my old job since a deconstructed brownie was part of our dessert menu. Haven’t made or had it since, but now I am tempted! These look like they would be sooo delicious out of the oven! Current state: craving chocolate. !!!!!!!!!!!! I’m literally speechless! This is perfect! These look AMAZING, and I definitely want to make them sometime soon. But can I just ask: do you think it’s particularly important to use fine sea salt rather than just regular salt? For that matter, I never bother buying unsalted butter (I’m on a tight budget) so I usually just skip the salt altogether, and my stuff doesn’t seem to turn out any worse for it. Do you think it would be okay to do that here? You can always use table salt in place for fine sea salt! I would say use your best judgement with the salt, it’s impossible to know the salt content of the butter because there’s no regulated standards unfortunately. So I did end up making these (minus the salt) and they turned out delicious! However, I’m sorry, I can’t help it, I have to ask: for the amount of condensed milk, did you perhaps mean to put 1 + 1/2 cups, rather than just 1/2 cup? Because I started by putting a half cup on, but it looked NOTHING like in the picture, so I put another half cup on. It still looked like less than in the picture, but I didn’t want to risk ruining the brownies so I stopped there. But once I’d baked and cut them i could tell that the condensed milk layer was definitely thinner than it was in yours. Now I don’t know if more condensed milk would’ve actually made my brownies more delicious, as their pretty freaking delicious already, but that nice gooey seam that’s visible in your brownies certainly LOOKS nice, and I simply can’t see how 1/2 cup of condensed milk could produce that effect. Thanks for sharing the recipe, though. I will definitely be making these again, at some point. These look divine! Do you think I could sub the unsweetened chocolate for semisweet/milk chocolate without it becoming too sugary? I’m not particularly a fan of dark chocolate; I like my brownies tasting more like a milk choc bar. I followed the receipe step by step.but I don’t know why the inside stayed liquid. My brownies got SUPER thick and just exploded out of the pan. What did I do wrong? Tried these three times now and still can’t seem to get them right… every single time the chocolate chips and condensed milk have sunk straight through the mixture and made a sticky, if lovely tasting, mess at the bottom of the pan. Is there supposed to be some form of precooking of the bottom layer or is it just bad luck on my part? Regardless they’ve tasted great every time, just look nothing like the pictures and take an age to get unstuck from the pan because of the milk. These were super easy to make, but I couldn’t get the inside to bake. After 40 minutes they were still liquid:( I followed the recipe and baking directions….any suggestion for what I should try next time? BTW- the batter was delicious! I made these brownies tonight, and while they’re very rich and delicious, they look like a mess. 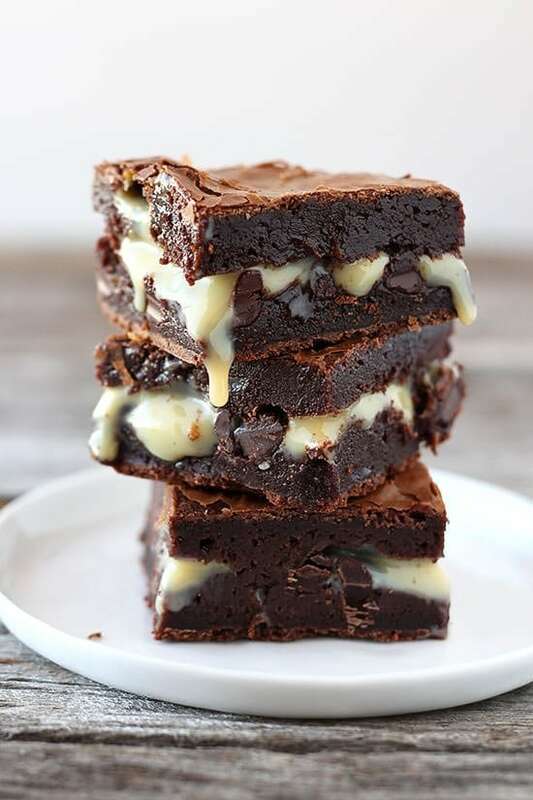 I would suggest baking the bottom half of the brownies for a couple minutes before put on the chocolate chips, sweetened condensed milk, and other half of the batter. 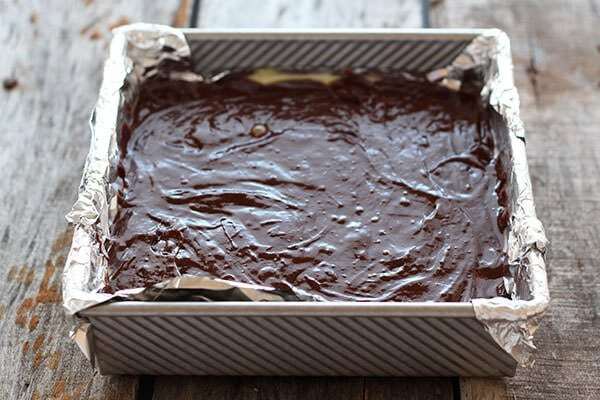 I’d also suggest skimping on brownie batter for the bottom and leaving a little more than half for the top, making sure to completely cover the milk. Other than the looks of them, they taste great and that’s what matters most! If you melt about half a bag of caramels into the condensed milk, the filling will be a little less runny but still gooey/chewy and now CARAMEL. 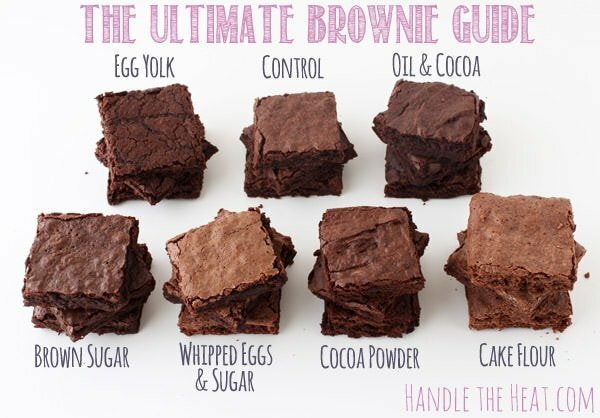 I have yet to try your “ultimate brownie recipe” with that trick though. Hope to try soon! i just tried this recipe out and although it was delicious, it was the consistancy of chocolate lava cake. I cooked them for 40 mins and let them cool for about 20 and when I cut into them a whole mess of chocolate goo came out. It tasted wonderful but not the consistancy I was looking for. Did I do something wrong? Wow, what can I say? These look fantastic! So Yummy! Pinned. These totally flopped. The sweetened condensed milk sank to the bottom and did not ooze out beautifully like the pictures. It took nearly an hour to get them baked all the way through. I’m totally disappointed by this recipe. I was making it for our small group and wanted them just like your pictures show. Wish I would have read the comments before wasting all these ingredients. The whole mess went straight into the garbage. Do not waste your time with this recipe. Followed directions exactly and it was a chocolate liquid mess. Wish I would have read the reviews first! Ugh! I followed the recipe and it worked just fine!! Not sure why everyone is having problems. Hi, this looks incredible! I’m hoping to make it tomorrow for my Friday night treat! Just a question, I want to use a block of chocolate instead of chocolate chips…what would the conversion be in grams? Thanks! AMAZING. Sweetened condensed milk is so under used in desserts. love love love!!!! 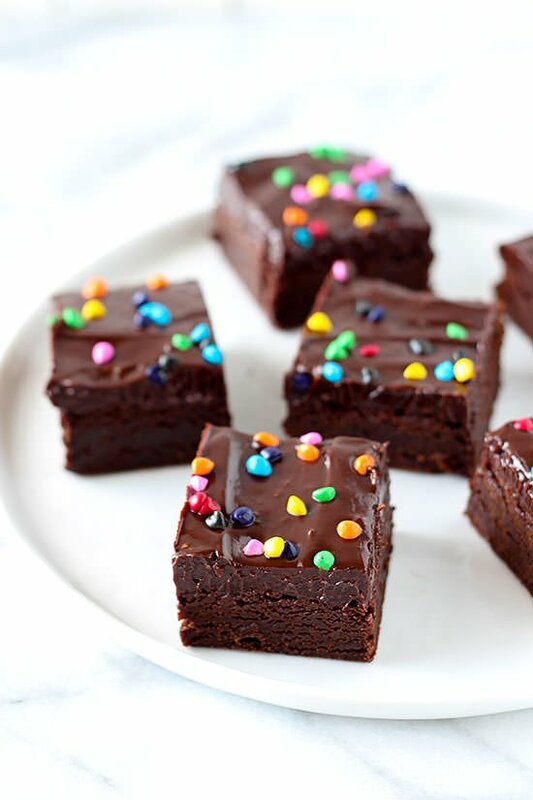 The best brownie recipe…..thanks for the recipe…..will be making this over and over again. Sorry! I now saw where i was suppose to use the chocolate. My bad! So I ended up with a bunch of condensed coconut milk, don’t really care for tres leches cake, so I ended up finding this dessert. I didn’t end up with a visibly defined layer of the condensed milk, but these babies were delicious! A little of the milk bubbled up and caramelized, giving a nice toasted marshmallow flavor. Been in the oven for 45 minutes now… And it’s just liquid, disappointing recipe…! Single for some reason chocolate chips are much more expensive than chocolate in blocks. Could you help men out with a weight on the cups of chocolate chips ? I have made these countless times and they are ALWAYS a hit! Baking the bottom half definitely helped but I personally liked the gooey quality that came with the center. My sister asks me to make them every time she comes to visit! I’ve made these twice already, and each time they’ve been rollicking! Leaving it in the fridge does make it easier to cut. Thanks for sharing! ooooooohhhhhh myyyyyyyy gosshhhhhhhhhhhh. I’m telling the world about these. SO GOOD! I was going to “join” your site and make these brownies, but this recipe had some collossal failures in too many ways, and I am unwilling to waste so much time and money. Did you address and fix for these reviewers, if so, where? Please keep my email address private. Thank you. These look so amazing! I’ve been on a gooey bar kick recently and also discovered the wonder that is sweetened condensed milk lol. Like other reviewers, I was left with a gooey mess, even with pre-baking for ten minutes. They were a huge headache to cut and look terribly underdone. I went in knowing this recipe hadn’t worked for others but it was still a big disappointment. There was a massive effort to cut and get these out of the pan and it all felt like waste of time when the product came out a big mess. Really unhappy with these results. Wont be trying this again. So I tried the recipe. I think I found the mistake people were making to come up with gooey messes. Too little batter before you add the chocolate chips and condensed milk. Make the first layer thicker and cook for 15 minutes then add everything else. My first layer was thin and I had to bake an extra 15 minutes and make my edges crispier than I wanted but overall still very good brownies. 1 1/2 sticks of butter is equivalent to 12 ounces but you listed 6 ounces. So is it 12 ounces or 6? I assume 12 (1 1/2 sticks). Wow, these were amazing! My wife and I had friends over yesterday and one of them has a HUGE sweet tooth and loves when I make brownies. I decided to try something different so I searched online and found this recipe. Were they messy and gooey like some people complained about? Uh, yeah, which is exactly why these were so delicious! They came out perfectly and everyone LOVED them, even my wife who doesn’t even like sweets, lol. People were fighting over who got to bring home the leftovers. 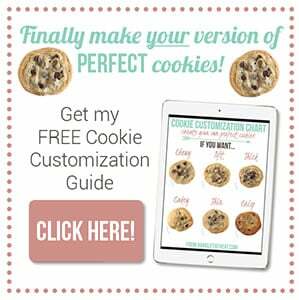 Thank you so much for posting this and I will definitely be making them again!